Recommended for: Anyone who does a lot of sitting. Special Features: Scratch-resistant surface with beveled edges. Work surface is 72-in x 34-in. Accomodates all laptop and keyboard sizes. Numbered and adjustable height settings from 46-in to 56-in. Manuscript holder, cup holder, phone stand, and file tray. Folds for transport or storage. Weight: 57-lbs. What is it? 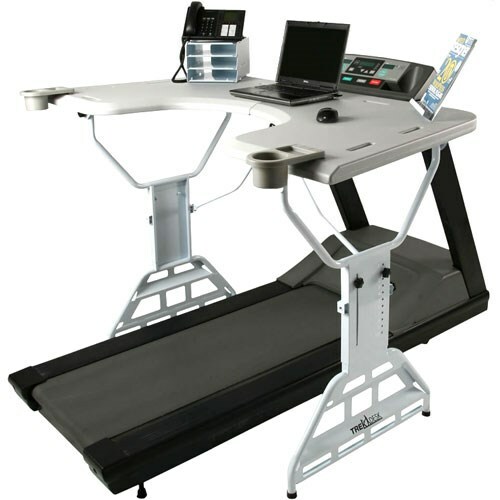 : A versatile work desk that you can integrate with your treadmill. Why it's cool: This is one of the most versatile standing/walking work desks we've seen. 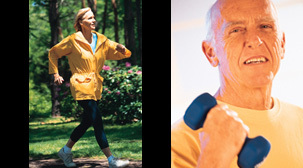 It has lots of options and works with nearly all treadmills.